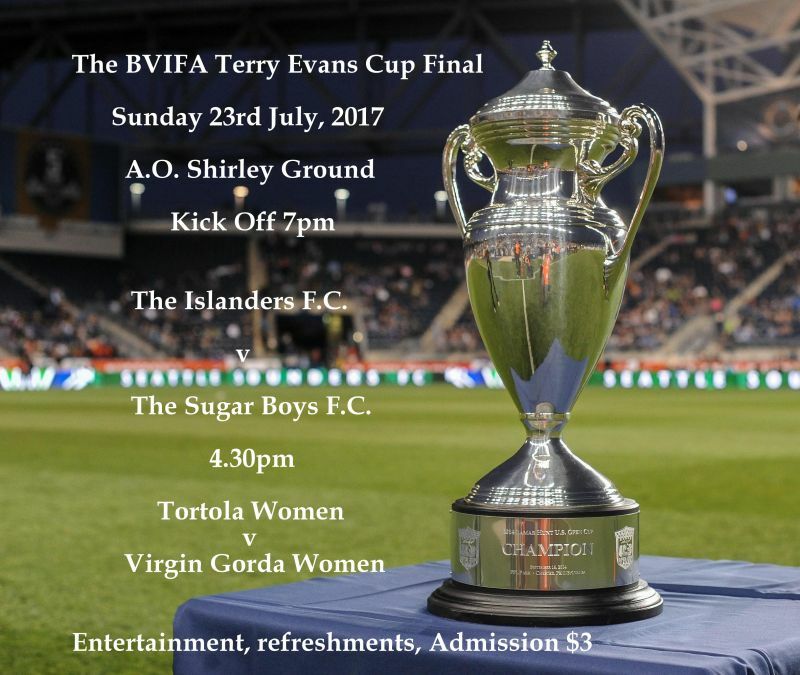 ROAD TOWN, Tortola, VI- The final of the Terry Evans Cup is all set for Sunday July 23, 2017 with the Islanders facing arch rivals Sugar Boys on the A.O. Shirley Recreation Grounds at 7:00 P.M. The pair have of course already met in the double elimination formatted competition, with the Islanders scraping to a 1-0 win. However, this time the Sugar Boys will be full of confidence following a 3-0 win over the Rebels in last weekend’s semi final match up. Goals in that game came from Mohamed Kachour, Andres Bailey and Keron Daniel. Both teams are expected to be at full strength for the crunch encounter and with the brand of football on display a large crowd will be richly entertained. Whilst the main event is scheduled for 7 P.M., the afternoons programme also includes a matchup between the Women of Tortola and the Women of Virgin Gorda, which will kick off at 4.30 P.M. Fans will also be able to win Raffle prizes, as well as be entertained by DJ’s and purchase food and refreshments throughout the day, with the team from Island Sizzle in attendance. Admission is just $3 for adults and $1 for children 12 and under.